The Loft Cafe joined our Mission to help provide access to “Clean Water for All by 2030”. This Mission was initiated by the United Nations. A big thank you to The Loft Cafe’s team and customers for joining this extremely important mission on 22 December 2017. 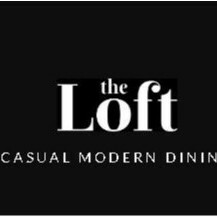 The Loft Cafe is a MODERN CASUAL DINER located within Macquarie Shopping Centre. We have been serving you food and coffees since 2000! It is a popular cafe with the tables almost always full. Our menu offers a range of food from breakfasts, burgers, pastas, gluten free options and cakes. There is ample space for meetings, group functions, families to enjoy the bustle or relaxing times with free wifi and power ports. Bring your kids as there is a playground positioned next door.